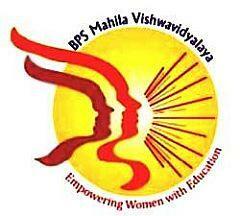 BPSMV Recruitment 2018.Bhagat Phool Mahila Vishwavidyalaya has released a notification for the recruitment of Teaching Assistants vacancies.Check the eligiblity and notification prior to apply for the positions. Colleges/ Institutes where vacancies to be filled are given below. Maximum upper age limit applicants are 60 years. On 03rd October 2018 along with all essential documents may appear for the BPSMV Walk-In Notification. Office of Vice-Chancellor, Bhagat Phool Singh Mahila Vishwavidyalaya, Khanpur Kalan (Sonipat), Haryana-131305.